Mill Meadows Local Nature Reserve is a 90 acre site in Billericay Essex. Open to the public all year round, visitors can explore the beautiful meadows and woodlands and spot a range of wildlife. 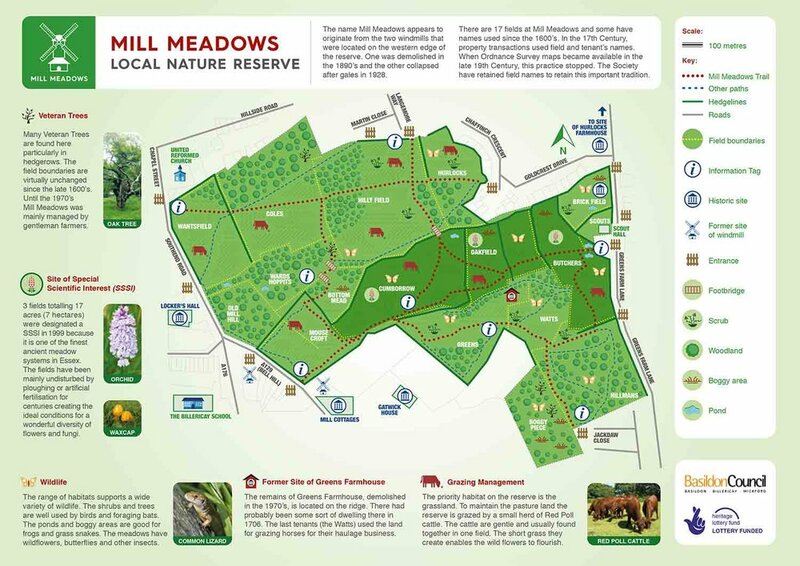 Find out how to become a member of the Mill Meadows Society. new boardwalks have been installed in Oakfield as part our Heritage Lottery Fund-ed project. These are fitted with Safetread to prevent them becoming slippery.